Vvube.com - The Biggest Pakistani Tube Ever Built | ODosta Inc.
Inevitably, after passage of many years, people have stopped waiting for lifting ban of YouTube. Today, most of the people – where YouTube is not accessible – always find alternatives to watch latest videos online. Well, worry not! A Karachi based company “Swash Enterprises” has finally launched a biggest Pakistani Built Tube called “Vvube.com”. 1. Vvube built on most advanced cluster technology to serve it’s user well. 2. It allows users to upload each file up to 3 GB and it accepts 5 multiple uploads in one go. 3. It is as secure as YouTube. It comes with https for ensuring security of data and communication. 4. It has unique feature like Facebook notification and has same friend activity system. 5. Its future revenue sharing will be from 20% to 50% for content partners. 6. 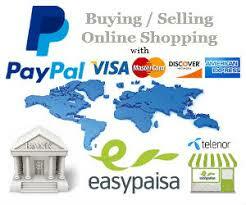 It has own-built Ad delivery system highly professional for advertisement campaigns. What Makes Vvube.com as Biggest Pakistani Built Tube? There are plenty of video streaming sites in Pakistan but none of them allows users to upload (each file) up to 3 GB. It means Vvube is capable of keeping big data without an iota of issue. 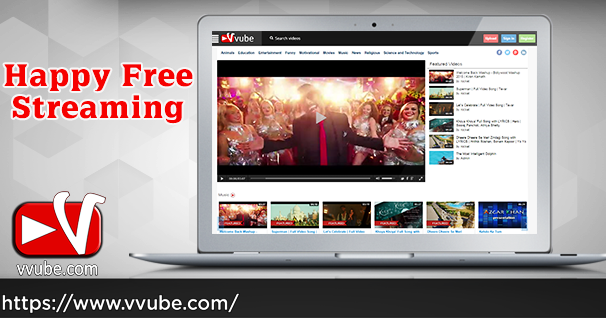 Besides, team of Vvube is working on Live Streaming and many other features that could hardly be found at YouTube. Think for a while, how would users feel when they will be streaming live while being at Pakistan or in any other country for free? 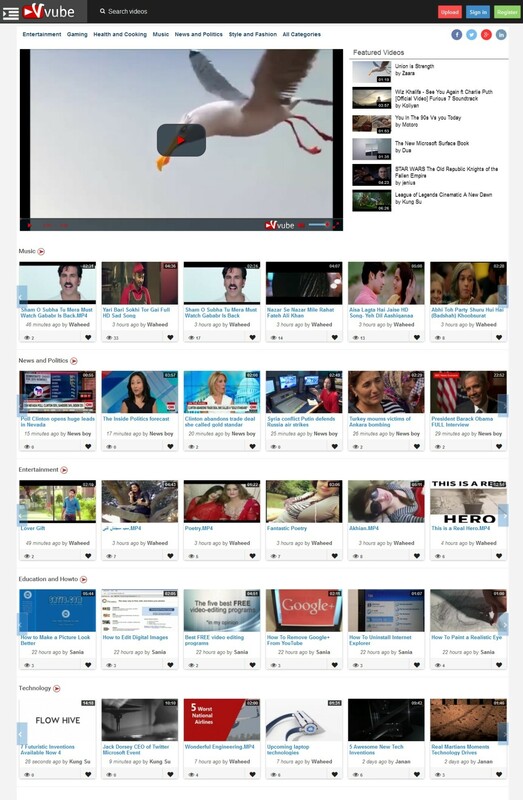 This is what makes Vvube the biggest Pakistani Tube Built Ever. Apart from this, Vvube has a really decent social activity system connected with all users. Whosoever subscribed to any user or whosoever watches user videos, will be notified like Facebook notification system. Vvube interface system is really awesome. Users can like, dislike, watch later and do many kinds of other activities easily. It supports Disqus comments system, social media sharing system, Featured and Sponsored Videos Listing System. It is worth mention here that Users can also go into their menu and see their own media files. And, there is also a nice way to connect with other users by going into members section. No doubt, Vvube.com will definitely fulfill the requirement of Pakistani and other users and it is supposed be a biggest emerging competitor of Daily motion, YouTube and many other sites of similar nature.